I’ve been going blind my entire life. Most people have a 180-degree field of vision. Legally blind, I have 2% of a normal vision range in one eye. I was diagnosed with Retinitis pigmentosa, an inherited degenerative eye disease, when I was 3 years old. The afflicted experience progressive “tunnel vision” and eventual blindness. The doctor told my mother by 20 years old I would be blind. She refused to accept my diagnosis and never spoke of it again. I learned about my diagnosis for the first time when I was eleven. I couldn’t see what was happening at the front of class. From there, I learned my condition was permanent. I learned there was no cure. From a child’s perspective, it seemed I would be prevented from seeing lessons in the classroom; I resolved I could live with that. The doctors told me my vision would slowly fade until I was blind. 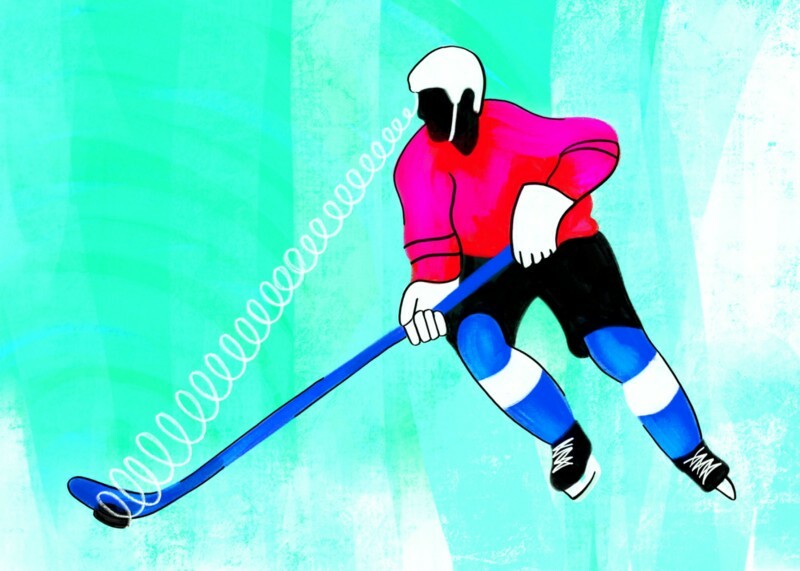 The first real problems caused by my vision happened playing hockey. As a French Canadian, during my early teens hockey was everything. Each day of the week from 4pm to 9pm I played outdoor ice hockey with friends and foes. Hockey was the first thing I cared about that Retinitis pigmentosa would take from me, not the last. At a very young age I rationalized that time, specifically my time, was important. Impending blindness created a sense of urgency. I tried to convinced myself that going blind was something unique about me. As my vision started to fade into smaller and smaller circles, I did not let my ‘tunnel vision” become the focus of my life. It is still a day-to-day fight and one I don’t always win. Like most kids, I wanted to be good at something. My parents bought an Apple II in 1986 and later a Tandy 1000 in 1990. The devices fascinated me. Then the internet changed everything. The internet made it possible for anyone to learn about making things with computers. The first technical knowledge I acquired came from reading every word of the documentation for mIRC, an internet relay chat client. I realized I could build things from behind a computer screen that could solve all types of problems. Despite my usual apprehension about the future, back then the future of computer programming seemed limitless. I’m even more convinced of that today. Instead of being blind by my early 20s like my diagnosis predicted, I was grateful to complete a computer programming degree. My first job as a programmer was working for a small agency out of a basement here in Canada. After a few months, I realized I could do something similar and better from my own basement. Since then I’ve worked on dozens of technical products including 3 that I built and sold myself. I fell in love with making useful things, things that solve problems, that people love. I first experienced this feeling with an app I built when I was 28 called Twollow, a simple way to connect with and follow Twitter users with shared interests. It grew to 15,000 active users. People went out their way to give feedback and tell me how much they loved my product. I was hooked. Making things with computers allowed me to work from home since 2005 when my wife and I had our first daughter. Working from home lets me be home for homeschooling and avoid the panic of navigating a commute without being able to see. Many of the engineers and teams I’ve worked with over the years had no idea I was legally blind. When my kids were born I started to ask myself: Would I be able to see them grow? What would happen in our lives together that I won’t be able to see? Would they too inherit this disease? How could I possibly accept that? How could I make everything up to them? Starting a family reignited a sense of urgency about my work and the decisions I’d made. Earlier this year I was working as a Co-founder & CTO at a startup in sales technology. For the last two years, I worked 60+ hours a week on the project, determined it would be a major milestone in my success as an entrepreneur and engineer. As an entrepreneur you accept the trade-offs. You learn that 9-to-5 doesn’t apply to you. However, despite working from home, I was still missing out on important moments with my family. Not that everyone’s time home with their family isn’t important, but I couldn’t shake the feeling that my ability to still see these moments with my family created a non-typical need for work/life balance. For example, in Quebec we have 3 months out of the year when we can go outside. It’s just too damn cold and dark the rest of the year. We actually emphasize going outside during this time to get vitamins from the sun and to do outdoor activities with our daughters. This past summer we didn’t have time to take even one bicycle ride together. As it got cold this year, I saw our bikes in the garage untouched since last season. I was doing it wrong. Tunnel vision is described as the tendency to focus on one thing, with an often limited point of view. For some makers tunnel vision is a blessing. For others, tunnel vision can be a curse. With renewed scrutiny for how I was spending my time, I learned I didn’t care about sales or sales technology enough to push the product in the right direction. No matter how many hours I logged, without alignment around product vision I struggled to feel confident I was working on the right things. In the focused effort of making a successful product or being a successful entrepreneur, I lost my vision for what I wanted with my life. What problems am I passionate about? What did I want to make? How did I want to spend my time? These were questions I needed better answers for. Justin Jackson a friend and fellow maker, brought clarity to the situation in this post about needing more than product/market fit to be happy and successful. He cautions makers not to look for product/market fit at the exclusion of everything else, that founder/market fit matters too. It was crystal clear. I wasn’t focused on the right things. I was making the wrong things. Despite month-over-month growth and despite bootstrapping to monthly recurring revenues that most products never see, I quit my own startup. Going blind emphasizes a sense of urgency that is part of the human condition: the desire for purpose and meaning despite limited resources. Everything to everyone feels urgent in a startup. For makers, that urgency is often coupled with politics, technical debt, and pivots. And it isn’t just startups that struggle to answer the question: “What should we do next?” Every product team I’ve been a part of, big and small, we’ve always struggled to create alignment around the future direction of the product. Looking without seeing doesn’t just afflict the blind. It’s often to blame for why so many projects and businesses (or lives for that matter) get off course. My most recent project Roadmap solves a problem I looked at without seeing my entire career. We’ve talked with hundreds of people and put a lot of thought into Roadmap. I am excited to see where the journey takes me and my two co-founders Brittany Fuller and Allison Grayce. As for my journey, there is always hope that advances in scientific research will develop cures for blindness caused by Retinitis Pigmentosa. It’s also possible that one day I will be totally blind and unable to see my family or create software products. My experience with what technology is capable of gives me hope for a cure. You can learn more about this disease and research efforts here. In the meantime, I’ll be spending my time wisely with my family and building something people love.